Changi Village Hawker Centre is the home to many Nasi Lemak stall. Can you please tell me which is the one that is really famous? As the years passed, I have lost track of The Famous One and I kept eating from Mizzy Corner. Is Mizzy Corner The Famous One? 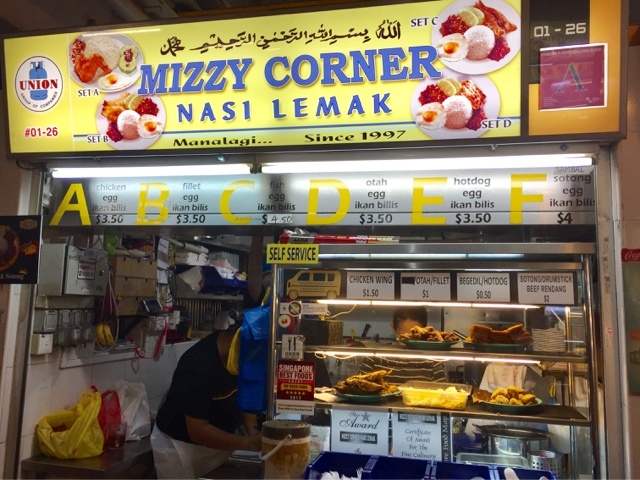 I enjoyed eating Nasi Lemak from Mizzy corner because of its consistent quality. No matter what time I patronised the stall, the chicken wings were always piping hot. I loved the huge chicken wing because it had a very strong and wonderful aroma of turmeric. The rice was also cooked perfectly. The chilli was good and the anchovies were extremely crispy. The egg was very fluffy and the egg yolk was soft and slightly runny. Perfect! The only drawback was the Ikan Kuning. It was hard and dry, with a fishy smell. Perfectly fried Ikan Kunings are so hard to come by! 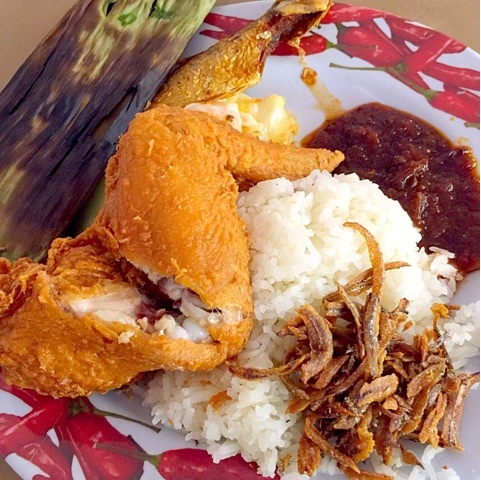 Please leave your comments and share with me your favourite Nasi Lemak or crispy Ikan Kunings!